Certified Pre-Owned with a perfect 1 OWNER 95 Autocheck score. 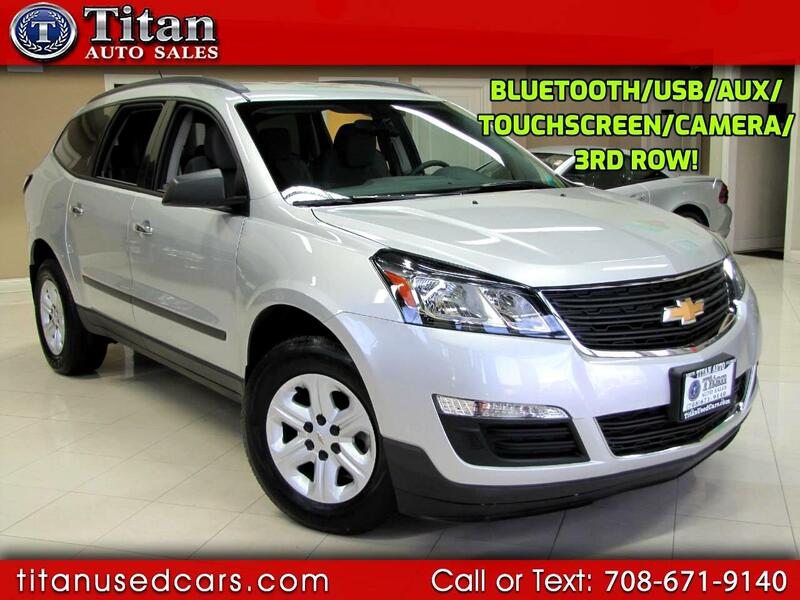 Ready to help you take on your day with all the space and functionality your life demands, our 2017 Chevrolet Traverse LS SUV is proudly presented in Silver ICE Metallic! Make the most out of every mile with the robust 3.6 Liter V6 that delivers 288hp and 22mpg highway with its 6 Speed Automatic transmission. This Front Wheel Drive Traverse offers a ride at the leading edge of comfort, security, and safety. Traverse LS boasts classic good looks with a rear spoiler, roof rail moldings, and great-looking wheels. Painstaking attention to detail is evident in the design of the LS cabin that has the most cargo space in its class. Wide-opening doors with a smart slide second-row seat and 60/40 rear seats make loading cargo easy. You'll immediately notice that it offers incredible sound insulation so you can focus on the road and enjoy a central touchscreen display as well as OnStar with available WiFi, Bluetooth, and an impressive sound system with available satellite/HD radio. Your family's safety is paramount, and our Chevrolet Traverse LS helps you to avoid and manage challenging driving situations with a rear vision camera display, tire pressure monitoring, stability control, traction control, and a multitude of smart airbags. Drivers just like you appreciate the incredible blend of quality, comfort, reliability, and security that can only come from Traverse. See what it can do for you! Print this page and call us Now... We Know You Will Enjoy Your Test Drive Towards Ownership! Buy with confidence from our AAA++ rated business. Our Quality, Prices and Reputation can't be beat. Check out our hundreds of positive Google reviews to see what our customers have to say.